The Artist's Palate, the bar and wine tasting salon, offers guests a relaxing and enjoyable way to appreciate music, wine, and fine art, combined with a breathtaking ocean view. Located within the Silver Heron Gallery, on the second story mezzanine, The Artist's Palate provides the perfect backdrop for your next special event. 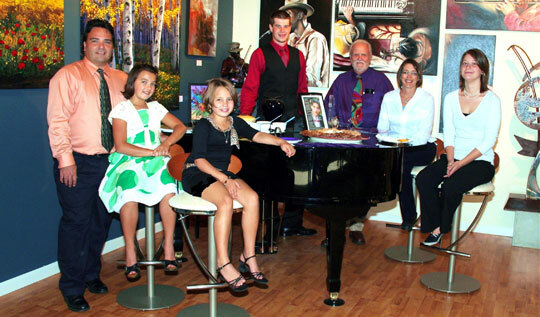 Includes the use of the Artist's Palate wine tasting salon and piano bar for cocktail reception purposes. Facility is available between the hours of 5:00 and 10:00 p.m. and is limited to 2 hours. Any food items must be provided by an approved caterer, and staffed for set-up, service, and cleaning. The Silver Heron Gallery’s maximum number of guests is 75. 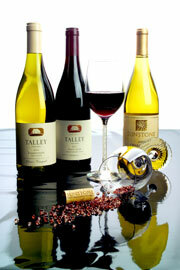 Wines approved by Talley Woodmark are served exclusively. Billing is based on consumption, and a 20% discount is given on the purchase of wine listed on the current tasting salon wine list, subject to some restrictions. Sparkling wines and bottled beer are allowed only when provided by the caterer and served in the appropriate glass. No hard liquor is allowed. Silver Heron Gallery requires the use of a pre-approved caterer. The use of the kitchen facility is included in the location fee. The Silver Heron Gallery provides adequate parking in both the front and the rear of the gallery. Children under the age of 12 years old are not permitted into any event unless otherwise specified by the owner. The Silver Heron Gallery requires liability insurance to be provided at the time of booking. To ensure your group an intimate and exclusive venue, the Silver Heron Gallery guarantees that your event will be the only event on property. A signed contract and a 50% deposit are required to reserve a specific event date. The final payment is due 60 days prior to the event. Both are non-refundable. If you would like to visit The Silver Heron Gallery or discuss the details of your corporate event, birthday, anniversary, or other private gathering, contact Terri Anne at Talley@silverherongallery.com or by phone at 541-765-2886.